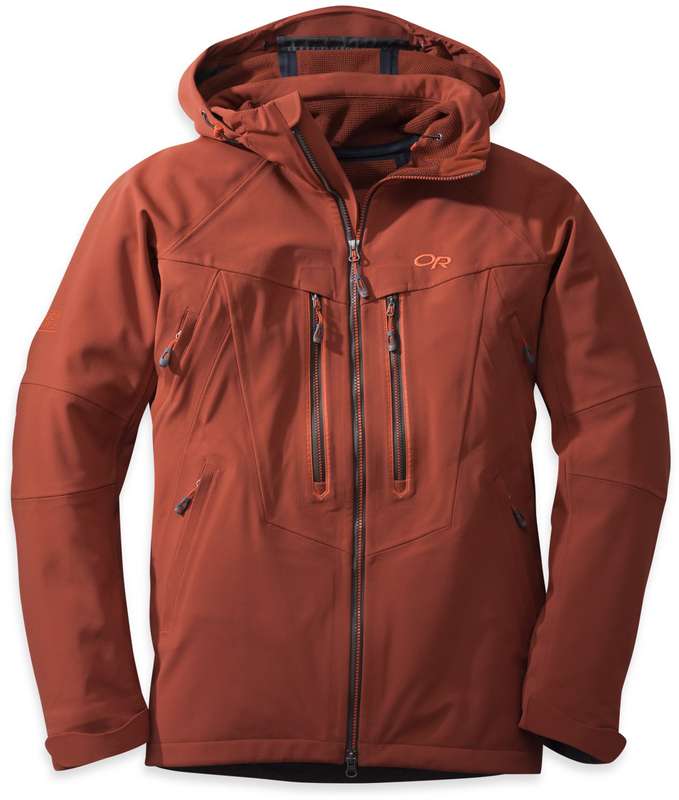 The Outdoor Research Trickshot Jacket is a pretty serious jacket. It’s exactly what you would expect for a soft shell in this price range which is a bombproof 3 layer shell with a little extra warming bonded fleece. I’m a big fan of soft shell tech and love it combined with bonded fleece under the outer layer. This company isn’t synonymous with snowboarding but it’s a great jacket for those that ride the whole mountain. Turn On’s: Size L Jackets that fit well around my chest. Size M Pants that fit well around my thighs so I can get in and out of my pockets. Reviewing new gear and especially my super-hot wife. Fit: So the fit of this jacket is pretty much a normal fit. You can easily get a mid layer or even 2 underneath without it being restricting. There is a decent amount of room for my arm length so if you have longer arms than I do you will be fine. Conversly you won’t have to worry about it looking weird if you are my length arm or shorter. The fit around my shoulders is flattering and it doesn’t go down too far past my waist. So overall it’s a very good fit and when I’m about 10+ lbs lighter in mid snowboard season it will fit even better. It’s got a very high end look and feel to it. The sleves are wide enough to easily fit any size glove under the sleeve. It can also tighten up really tight around the wrists. Comfort: It also feels comfortable even with a short sleeve shirt on underneath. It’s also got a good feel to it because it’s got a little weight to it. Build Quality: The construction is really well done. Hood: I’m not normally a fan of an articulating hood because it often exposes parts of my cheeks but it’s got pretty good coverage around the face and I wouldn’t be too exposed if I didn’t have a bandanna or balaclava. 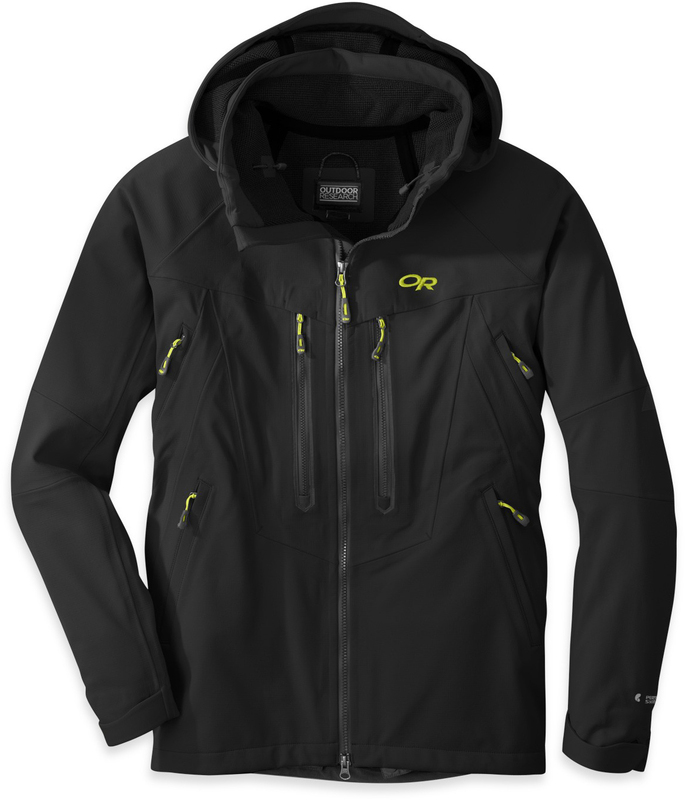 Warmth: The Trickshot Jacket with it’s bonded fleece feels warmer than many light insulation jackets. I run warm so for me it could be my jacket for cooler days and with a medium insulated mid layer I could deal with some pretty cold days that are closer to 0 F. My only issue with this is in the often warmer weather in Tahoe I’d be opening the pit vents a lot. I also like the positioning of the pit vents which are a little more in the line of the air that comes your way as you pick up speed. It’s the kind of jacket that’s great on a long chair ride because it’s got a lot more warmth than a traditional shell. Breathability: The Trickshot Jacket’s breathability rating feels like it holds some moisture but I don’t get steamed up either. Waterproofing: So this doesn’t have a Gore-Tex logo on it but don’t think you can’t hang out in the rain all day. 3 layer jackets are pretty serious when it comes to repelling wet snow or rain. Also their own waterproof tech is really solid. A lot of people feel it’s Gore-Tex or nothing but some of my most bombproof jackets haven’t had that logo. So all in all this is a solid jacket for any one who rides many days a year on the mountain and likes something a little more than a shell on the outside. It’s also a great jacket for those that hike a lot in cold weather. We try to get as many images of the Outdoor Research Trickshot, but forgive us if they're not all there.